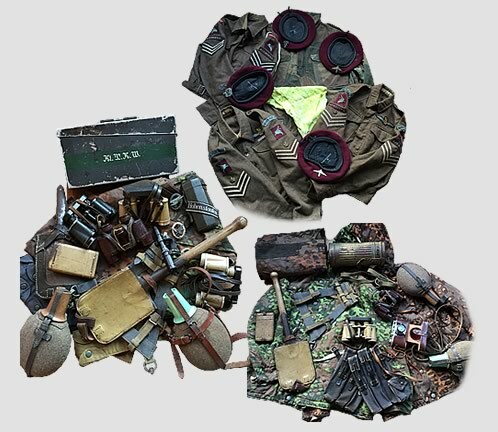 In our website you will find a lot of military objects. Our knowledge and speciality of original material of the Second World War is mainly German. The objects that we offer, are intended for collectors of the Second World War also for historical or research purposes only. All these objects are original, so we can offer you a full money back guarantee. There are some objects in our website that may be offensive to some people, please stay on guard! Please enjoy surfing on our website, if you have other questions do not hesitate to contact us. . This website is for historical and investment purposes only and does not represent any political view.